We assist customers in their lighting choise for new projects or relighting. 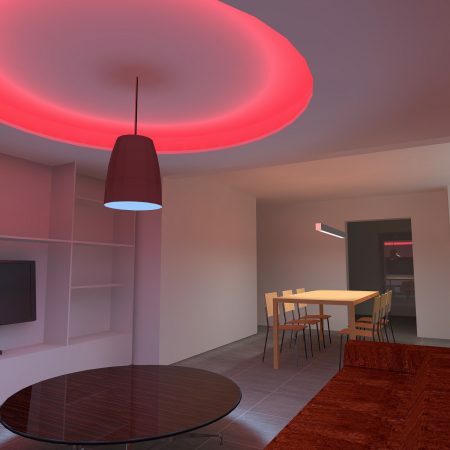 After receiving the relevant schematics (or we make on-site measurements) we create a 3D model using DIALux EVO and discuss the wanted lighting level with the customer. This model will then be sent out to different manufacturers who will implement their luminaires in it. Afterward we make a comparison and discuss with the client what will be the best solution. If requested we similarly select installation firms. We make lighting measurement before and after to make a comparison and check if the new installation meets the requirements.